Drum roll please… the latest album made by young people in Newham on the Making Tracks programme is ready for your listening pleasure!! 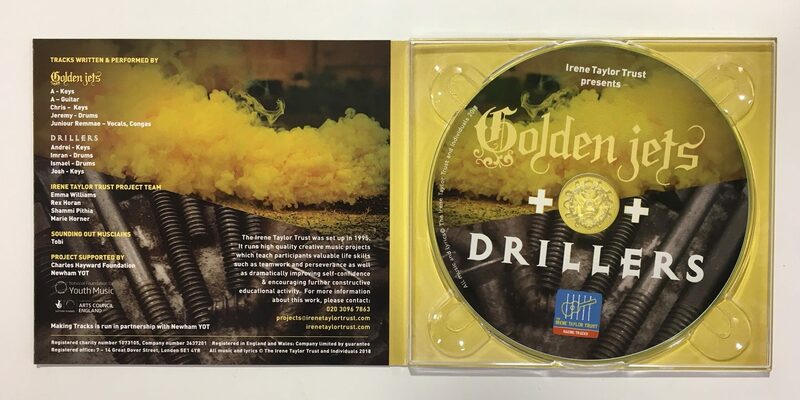 For this project there were two groups, which formed the bands ‘Golden Jets’ and ‘Drillers’. As well as creating, performing & recording original tracks, each group produced their own radio shows, which are included on the playlist below. This project was supported by National Foundation for Youth Music, Charles Haywood Foundation and Newham YOT.